On my own initiative, I would like to bring some participation in the upcoming event like an tournament about compete in a coop environment for vision of carry off some real money afterwards for top of 3. 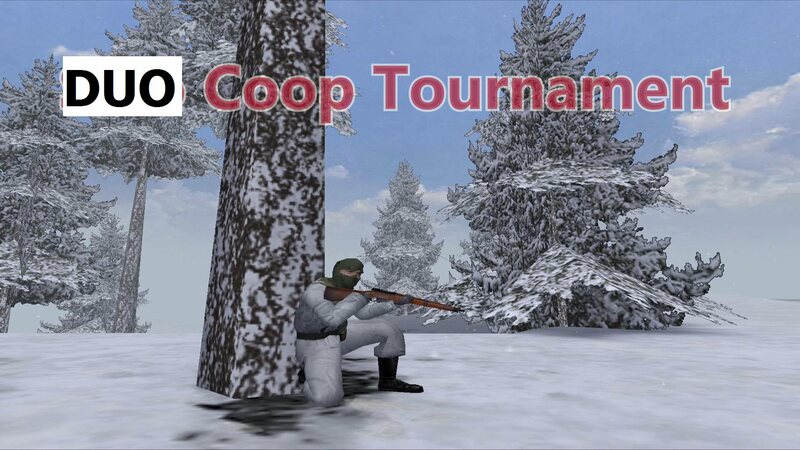 All you need is want to participation and having installed CMP (Coop Map Package) together with the game which include trio of coop maps listed below. Start of tournament is set after at least a 15 players confirmed that they will play. You must post your nickname as a simple message to this topic for confirmation you will be registrate. Do not be afk on the server if you are not meant to training or play your "official attempt"
Each players after finished official attempt has elections if video of his play will be posted immediately after finishing his try or over of the tournament and the announcement of the results. Feel free to edit all mistakes in text also please post some feedback what could change or do otherwise. Hoping it will be fun. Last edit: 4 months 6 days ago by DanJ. All future changes are done in orange color highlighting. Let's let the main price leaves for these 3 best players. All can suggest then how they want to received money what they may win. Last edit: 7 months 3 weeks ago by DanJ.